Whether you are looking for a Full-time or Virtual office, Solutions Office Suites has the options you need to be successful. 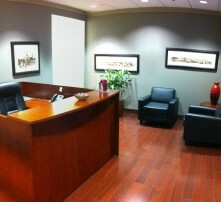 We provide professional, cost effective office space, ideal for law practices, branch locations or small business. We also provide virtual suites that garner a professional presence for home based businesses or companies that do not need a Full-time office. Please review the various services we provide below. If you have any questions or would like to schedule a tour, feel free to give our staff a call at 813-229-1500. If an option or service you need is not listed here, please let us know. We are capable of providing a wide range of services and can tailor a package to suit your needs. *Additional setup charges may apply. Subject to Solutions Office Suites house rules.